The 2nd release in �The Rare Casks� series by Abbey Whisky has arrived and it�s only right that we follow up the success of the 1st release with something exceptional and equally special. Casks from Islay have been like gold dust of late but we�ve managed to get our hands on a lovely smooth, peated Bunnahabhain from the magical Isle. Distilled in 1989, this special malt was aged in a refill bourbon barrel for 23 years before being bottled at natural cask strength of 44% vol. As with the 1st release only 96 bottles have been filled and made available for this limited edition release. Nose (91): more than average. honey, fruits, fresh apples, vanilla, citrus, smoke. More fruity and fresh than the 25 years old distillery bottling. Still as delicious! 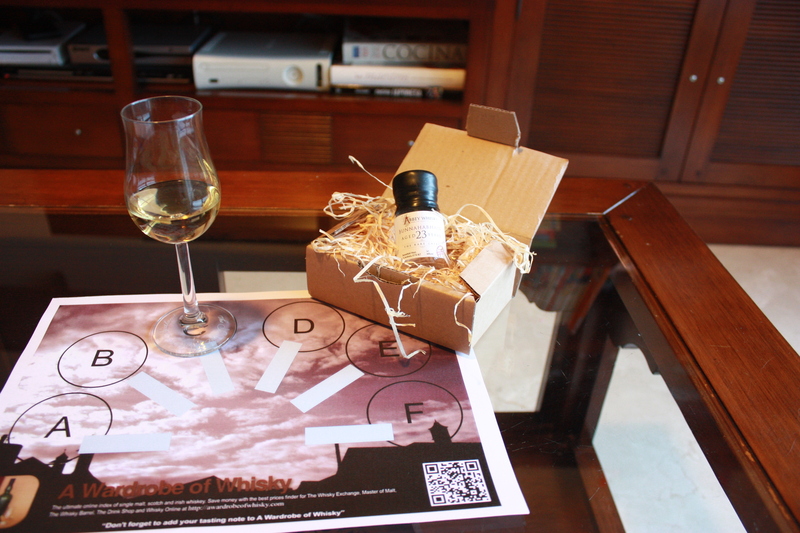 Palate (89): powerful, oily. honey, citrus, floral, peat, vanilla, wood, cinnamon. 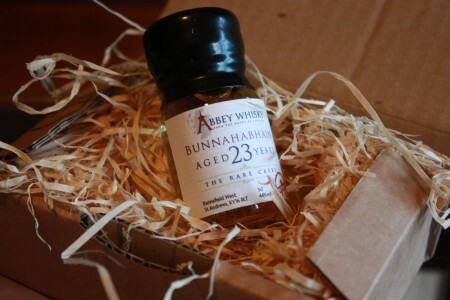 So based on other whiskies I have already tasted I rate this Bunnahabhain 23 years old The Rare Casks with 90 points over 100. A huge thanks to Abbey Whisky for this official sample.